Also serving communities of Belmont, Rockford. There are 18 Memory Care Facilities in the Grand Rapids area, with 9 in Grand Rapids and 9 nearby. The average cost of memory care in Grand Rapids is $5,546 per month. This is higher than the national median of $4,650. Cheaper nearby regions include Wyoming with an average starting cost of $5,500. To help you with your search, browse the 3 reviews below for memory care facilities in Grand Rapids. On average, consumers rate memory care in Grand Rapids 5.0 out of 5 stars. Better rated regions include Byron Center with an average rating of 3.0 out of 5 stars. Caring.com has helped thousands of families find high-quality senior care. To speak with one of our Family Advisors about memory care options and costs in Grand Rapids, call (855) 863-8283. Grand Rapids, Michigan, is the state's second-largest city and home to about 200,000 residents, 11.4 percent of whom are age 65 or over. For those seniors who number among the estimated 180,000 Michigan adults over age 65 with Alzheimer's disease, Grand Rapids and its suburbs offer at least 15 facilities that provide memory care services. In Grand Rapids as in the rest of the state of Michigan, these memory care facilities may be licensed as Adult Foster Care (AFC) or Homes for the Aged (HFA). Grand Rapids has plenty to offer seniors and their families. The city is home to a variety of cultural attractions and world-class health care facilities such as Mercy Health Hauenstein Neurosciences, which specializes in the diagnosis and treatment of cognitive disorders. On average, it costs 4 percent less to live in Grand Rapids than other cities in Michigan. Relative to the rest of the U.S., Grand Rapids' cost of living fares even better. 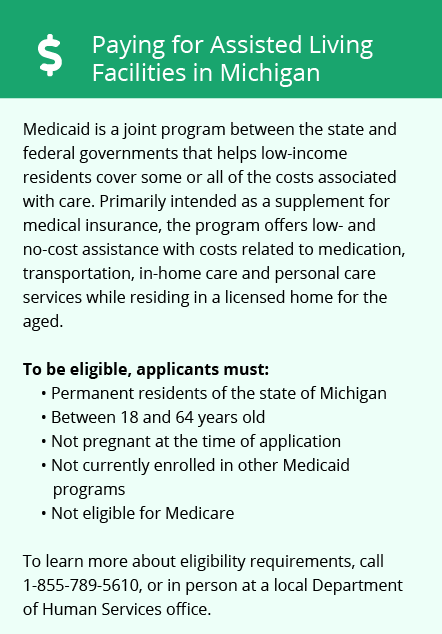 For example, health care costs in Grand Rapids are an estimated 17 percent below the national average, leaving seniors more room in their budgets for other expenses. Michigan has retiree-friendly tax policies. The state doesn't tax Social Security benefits and offers seniors a sizable deduction on other types of retirement income. Compared to the Michigan state average, the overall crime rate in Grand Rapids is 84 percent higher. A senior citizen's chance of becoming a crime victim in the city is one out of 34. However, Grand Rapids' crime rate is lower than other towns of similar size. According to a recent study, Grand Rapids ranked second on a list of The Most Secure Large Cities in the U.S.
Wintry weather in Grand Rapids may hard on seniors. Winters in the city are often overcast and frigid. In a typical year, Grand Rapids has only 158 days of sunshine and receives about 68 inches of snow. January can be a bitterly cold month, with an average low temperature of only 16 degrees Fahrenheit. Memory Care costs in Grand Rapids start around $5,546 per month on average, while the nationwide average cost of memory care is $4,800 per month. It’s important to note that memory care rates in Grand Rapids and the surrounding suburbs can vary widely based on factors such as location, the level of care needed, apartment size and the types of amenities offered at each community. To see a list of free memory care resources in Grand Rapids, please visit our Assisted Living in Michigan page. 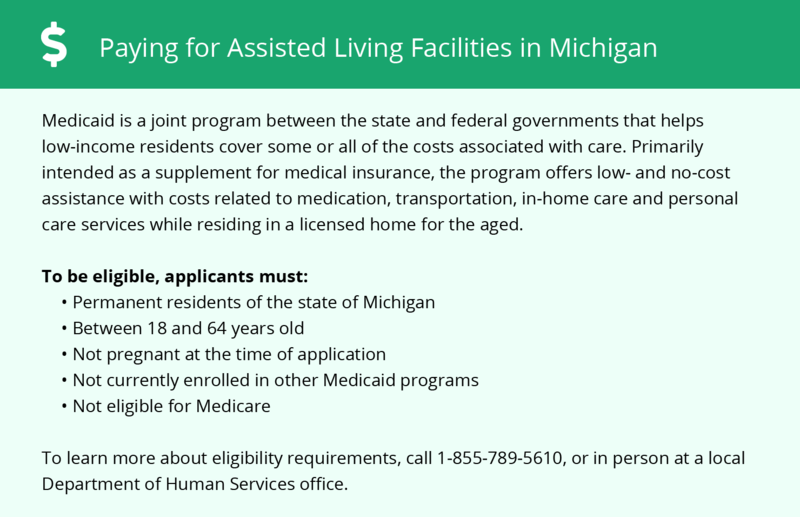 Grand Rapids-area assisted living communities must adhere to the comprehensive set of state laws and regulations that all assisted living communities in Michigan are required to follow. Visit our Memory Care in Michigan page for more information about these laws.